We’ll show you. Why Webcast? 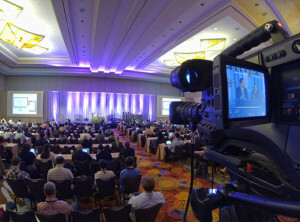 Increased audience reach with a measurable ROI are the reasons webcasting is a growing trend especially amongst our Financial, Healthcare, Pharma and Tech conference and Townhall webcasting clients. 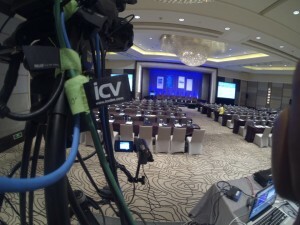 Let ICV be your New York Live webcasting services partner and avoid the IT investment. Communicate, train and share. And do it across the globe from your location at an affordable cost. 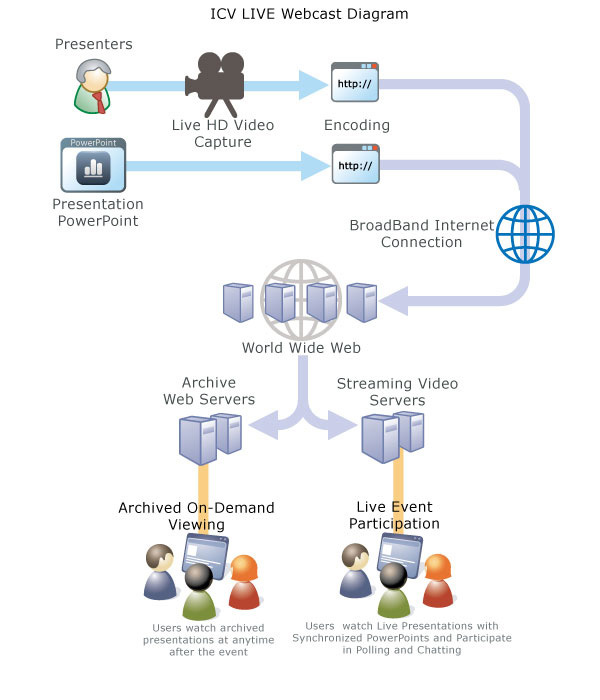 ICV’s solutions range from simple single session live webcasts to full scale conference webcastiung or corporate media libraries and training websites. 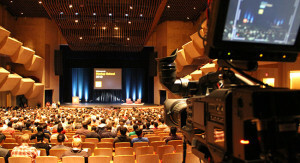 We can webcast simultaneous breakout sessions and general sessions all streaming within a branded Media Portal website. You control and manage your content. ICV will work with you on your event and your web and IT services to help reach your target audience in the most efficient manner.